Jennifer has a passion for learning and the practical application of knowledge. Her first love is teaching and helping others to incorporate the foundational principles of wellness into their own lives. 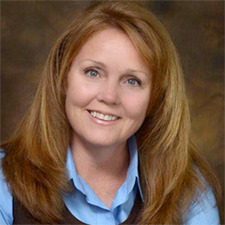 Jennifer has extensive experience presenting and educating in many capacities, including community awareness, lifestyle education, and the therapeutic value of essential oils. She has been educating groups for over 20 years. Jennifer is a Certified Lifestyle Educator and Foot Zone Practitioner. She is also currently pursuing a degree in Health Sciences, through Brigham Young University, with a focus on Public Health. Jennifer is serious about empowering others in the pursuit of improving their quality of life. She can help you bridge the gap between knowing and incorporating foundational principles for lasting change. Jennifer and her husband, Patrick, present together in several forums on topics dealing with family relations, protecting homes from damaging media influences and currently teach our “Called to Serve!, Body, Mind and Spirit” workshop for missionaries. They are the parents of six children and two grandchildren.